Joanne Curby is a familiar face around our beloved Seabright neighborhood. She is our liaison with the Seabright Neighborhood Association, which is a co-sponsor of the June 23rd Summer Kick-Off Festival. Joanne, who is a member of the Museum’s Pat & Kirk Smith Club, is a key link between the Museum and residents who live in the charming homes surrounding our historic building and adjacent Tyrrell Park. A Seabrightan since 1991, Joanne retired in 2007 from a 27-year career serving the City of Santa Cruz Parks and Recreation Department at the Louden Nelson Community Center, where she enjoyed maintaining the facility and spending time with seniors, veterans and other frequent visitors to the center. Joanne enjoys taking care of summer homes for neighbors and looking in on older friends. 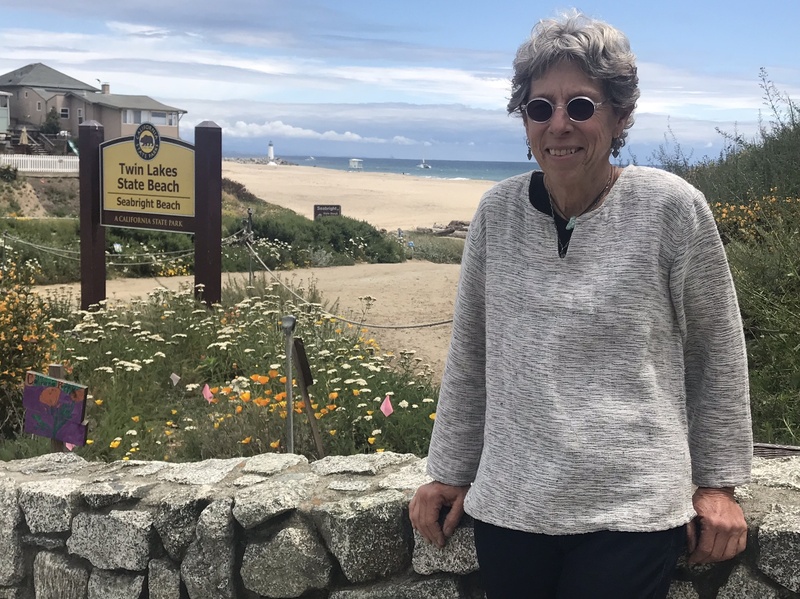 An open-water swimmer, Joanne also is a member of the Swimming Masters Program at UC Santa Cruz and she climbs at Seabright’s Pacific Edge, which like the Neighborhood Association is a Member of the Museum’s Business Partnership Program. Thank you for all your support, Joanne!